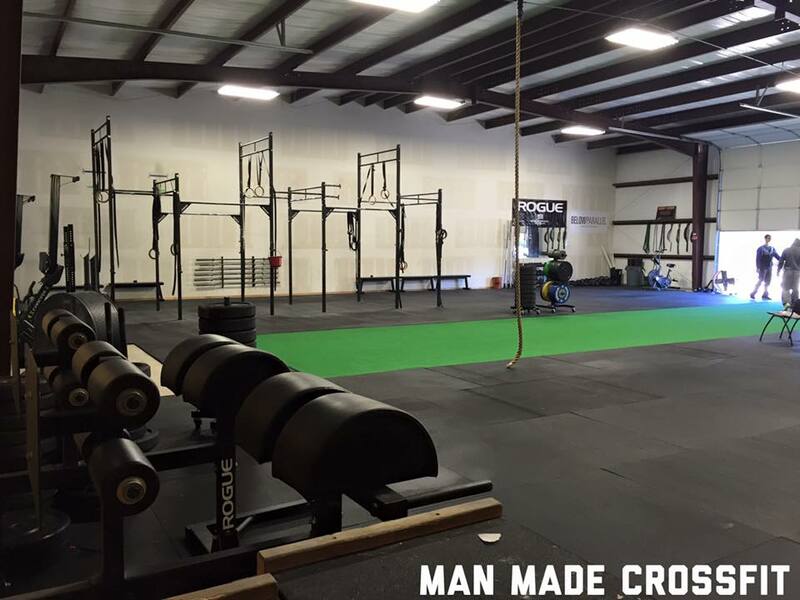 I tried Man Made CrossFit for the first time in March 2014 and I was hooked from day one! I attended my first class with my close friend who I was trying to get in shape with by running – an activity we both disliked. She found the gym for us because we hated cardio so much that we were both ready to give up on our fitness journey entirely. Immediately after my first class I could not wait to come back because I knew I was getting a great workout, I was impressed by the coaching staff’s knowledge, and loved the friendly and accepting atmosphere of the gym. My biggest challenge since starting CrossFit has been learning how to “enjoy the process” at each step of my fitness journey. I have had several moments where I had to really sit down and think about why I started and make a conscious effort to continue. It is easy to get down when you are not able to hit a PR or you hit a plateau with your progress, but every time I push through the negativity I realize I am even better than I was the last time I struggled and have become stronger for it. Since starting CrossFit, I have learned several new weightlifting movements including my favorite – the hang power clean! Several things that I have learned in the gym have helped me outside the box by making me more flexible and strong. I work in the church nursery in addition to my full time job and I have noticed that since I started to attend CrossFit classes regularly, I am better able to keep up with the kids. My favorite thing about Man Made CrossFit is the family atmosphere. In the times when I am down or do not feel like working out, the other members and my coaches do not let me get away with making excuses. I look forwardto spending time with these people each day and cannot imagine my life without them! If I could go back to when I started CrossFit and give myself one piece of advice, I would give myself a good talking to about nutrition. Eating enough food and eating the right things is equally as important as working out – a key piece of information that it took me a long time to accept and understand.